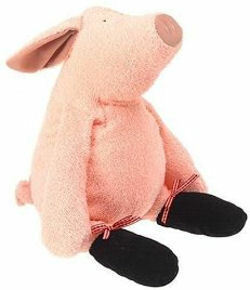 I’m looking for a Kmart pink pig pillow, made of cotton and polyester. 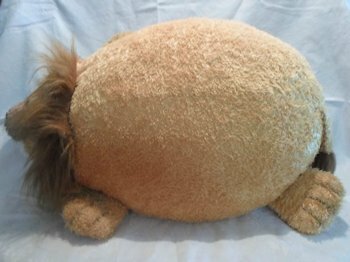 It is an oval shaped, pillow looking stuffed animal with a head, arms, and legs. 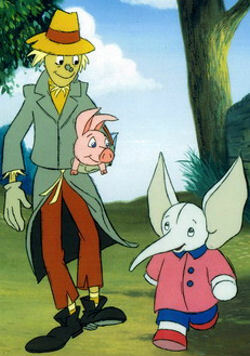 We now know that Mumfie is a Gund plush, so the Scarecrow and Pig probably are, too. I’d love to have both of them, now that I have Mumfie. 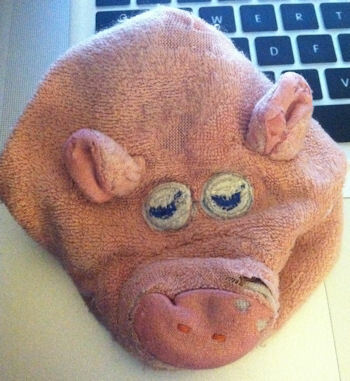 I’m looking for a 5 or 6 inch 1991 pink pig with blue eyes. He might be a Dakin, GUND, or RUSS. 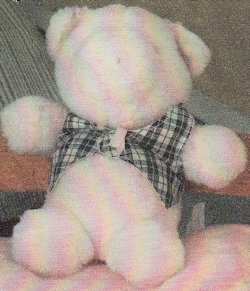 I’m looking for Penelope, the pink 80s Fisher Price Animal Grabbers pig. 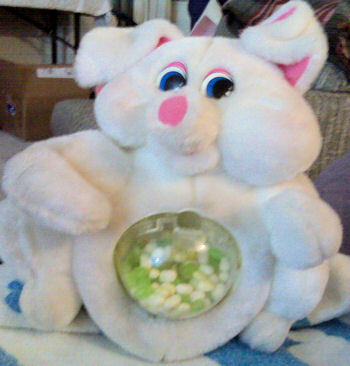 It’s a pig head with a pocket behind the snout for the child to grab or hold onto.